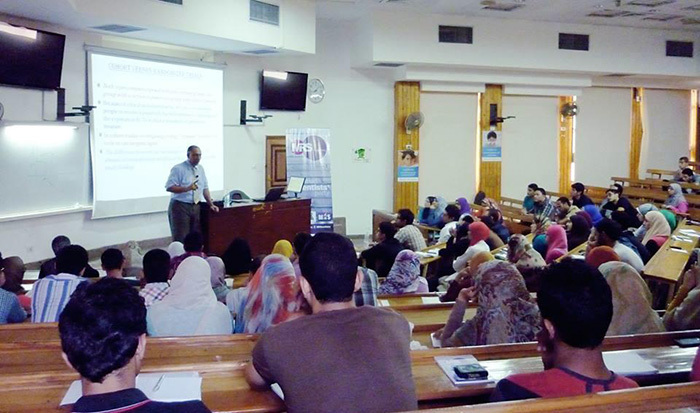 Professor Tarek Tawfik Amin presents at a research methodology workshop held at the Faculty of Medicine, Cairo University. The workshop was dedicated to medical students with an interest in research. His sessions spanned two days and included several opportunities for hands-on training, group work and collaborative learning. Dr. Amin enjoyed this wonderful occasion to spend time with many smart and enthusiastic young physicians.